2v1 race to finish is an excellent drill for players to work on speed of play and going forward quickly when they have a numerical advantage. Overload without a keeper is an easy possession drill to use when there is only one goal keeper available at a training session. The team without the goal keeper is given several additional players to offset the disadvantage. 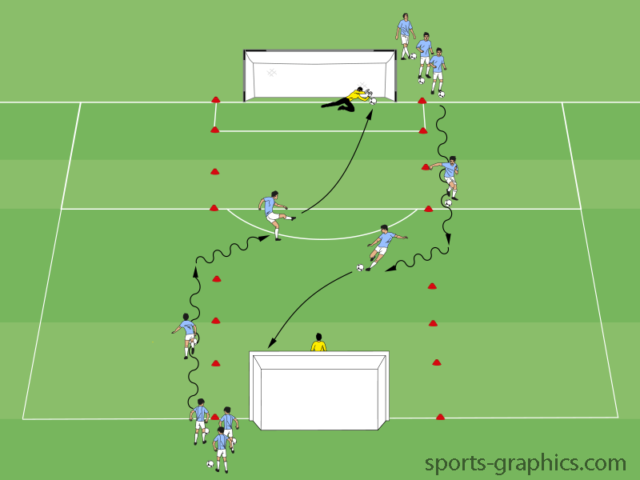 This two goal finishing drill is a great way for players to practice shooting from middle to long range. It is simple to set up and easy to implement for large groups of players. In addition, there are tons of awesome finishing drill variations that can be performed with this set up. 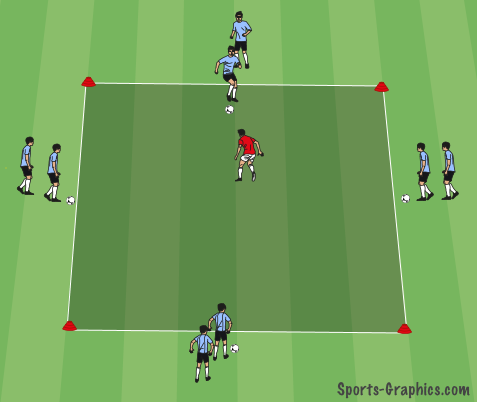 Unlock the neutrals is a great possession game where the team with the ball can create an overwhelming numerical advantage against the defense. Once a team completes a given number of passes, neutral players in the corners become ‘unlocked’ and can help the team with the ball in the middle score. Rondo to finish is an excellent way to combine passing and finishing practice all in one drill. 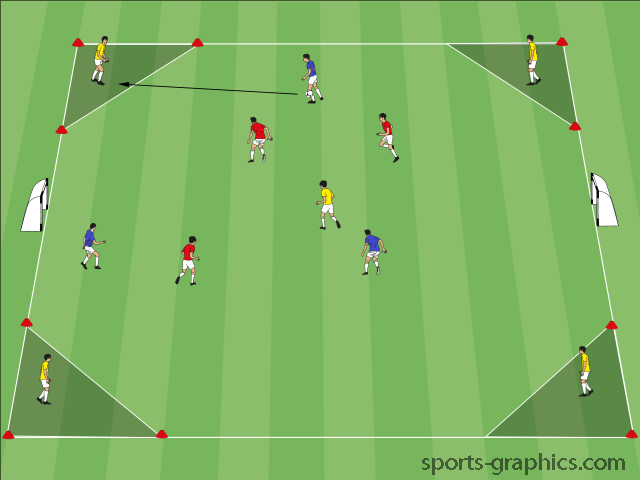 The game starts with a simple rondo keep away drill and progresses to taking shots on goal if the teams in possession can successfully complete passes. If you’re not foam rolling, you could be missing out on a range of health and performance benefits. Also known as ‘self myofascial release’ or ‘self massage’, foam rolling has become increasingly common in recent years for good reasons. When utilized correctly, foam rollers can be a great tool to reduce tension in tight, overactive muscles. In addition, it is a great way to ward off aches and pains and prevent muscular imbalances that can hamper athletic performance. If you’re still not convinced, here are six reasons to use a foam roller. 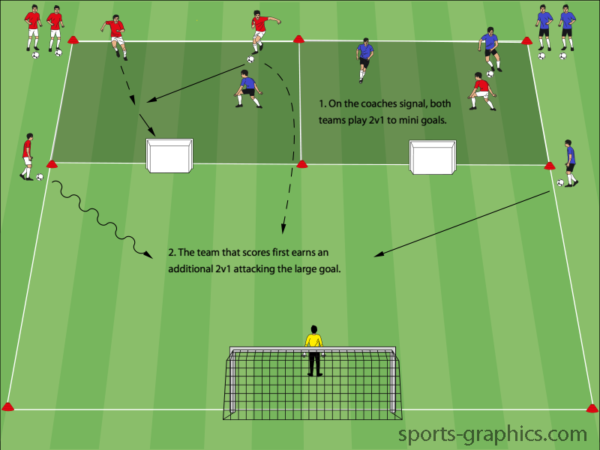 1v1 attack in either direction is a simple 1v1 variation where attackers can score at either end of the playing field. 4v4 with holding players is a simple small sided game where each team is given an additional player to pass back to on their own end line. Defender in the middle is a competitive 1v1 variation where the defender must win the ball in order to get out of the middle. 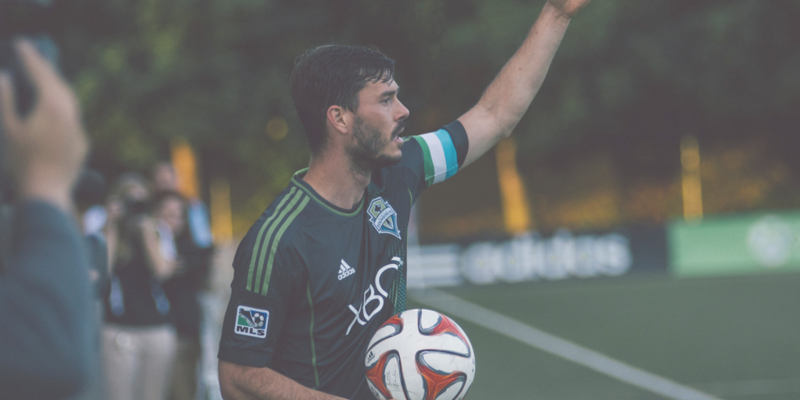 When team captains perform their duties well, it can make a big difference for their team. People rally around those who inspire them to dream more, do more, and become more which is why natural leaders are such an asset. With that being said, although leadership ability comes more naturally to some than others, there are common traits that great leaders share which can be embodied by anyone who desires to be a team captain and make a positive difference for their team.